Chris & Joel established Penwarden Hale Architects in 2015 after fifteen years working together at award winning architectural practice Berman Guedes Stretton. The practice has an exciting diverse portfolio of work from residential to education. Chris and Joel are interested in sustainability and future technologies in construction and are passionate about the impact the built environment has on health and well being of people. Specializing in new build integrating with historic buildings working extensively in the South of England for corporate and individual clients. Its important to us that our clients understand who we are, feel valued and trust the advice and delivery of projects. 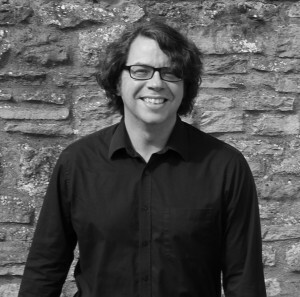 Chris has worked in Architectural practice for over twenty five years, Joel and Chris formed Penwarden Hale in 2015 previously Chris worked as a Director at award winning architectural practice Berman Guedes Stretton, prior to that with over ten years working for specialist conservation practice Purcell’s. Chris specialises in residential, commercial, hotel, schools and the higher education sector. Over the last ten years Chris has been responsible for managing the relationship with Imperial College, projects delivered during this time including student accommodation, laboratories, research spaces, lecture theatre and office accommodation. During the ten years at Purcell’s Chris was also involved with highly prestigious projects at The National Gallery, The Courtauld Institute, Houghton Hall, Felbrigg Hall, Wimpole Hall and Ely Cathedral. All of these projects have involved complex heritage and conservation issues. Chris’s portfolio includes the refurbishment of buildings and integration of new build elements. Chris enjoys solving challenging and complex design briefs and has an excellent working knowledge of detailing and materials. He is an articulate and confident communicator and is good at managing and motivating the team to deliver complex strategic and technical requirements. 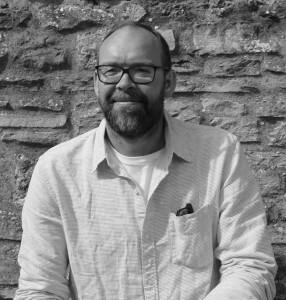 Joel obtained his postgraduate Diploma of Architecture from Oxford Brookes University in 2000 and gained his professional qualification in 2003. He joined Berman Guedes Stretton in 2001 and has gained broad experience working on projects of different scales in the Education and Leisure sectors, including an environmentally sensitive scheme to upgrade the library at Keble College in Oxford and a contemporary Conference & Leisure extension to a Grade I Listed 4* hotel. He was recently the Project Architect for a £12M refurbishment of two Listed College buildings in Cambridge, and is currently managing a series of sensitive small refurbishment projects at Ardingly College, and a specialist scientific laboratory extension at Diamond Light Source. Joel’s design philosophy encompasses his belief in developing simple solutions to complex problems. His motivation and innovative attitude are key components in achieving minimal yet practical designs which are sensitive to their historic contexts.